In 2008, Bob succeeded pianist Shelly Berg to hold the Bowen H. "Buzz" McCoy and Barbara M. McCoy Endowed Chair in Jazz Studies at the University of Southern California Thornton School of Music. Mintzer plays Selmer Mark VI saxophones fitted with Freddy Gregory mouthpieces. He uses Vandoren V16 reeds for the tenor sax, and Bari plastic reeds on his soprano sax and bass clarinet. He also plays an Akai EWI (electronic wind instrument), an older model of the 1000 series. For recording with Yellowjackets, Mintzer prefers a Sennheiser 441 microphone. Before starting his own big band, Mintzer was a featured soloist and arranger with the big band of Buddy Rich. His son, Paul, graduated from Interlochen Arts Academy. His nephew, Ross, performs in the band Remington(Band). 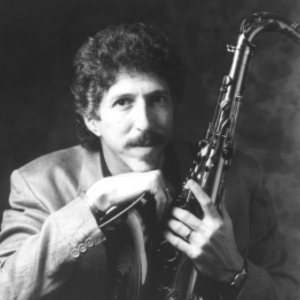 My high school band teacher likes to say that Bob Mintzer's jazz career as a musician and composer is eclipsed only by the awesomeness that is his mustache and that Bob has been said to compose while watching TV, as his song "TV Blues" alludes to.